The 6600K is a solid Skylake processor that's available at a great price today. Intel’s Kaby Lake processors may be the company’s newest CPUs, but at the right price Skylake is well worth it—especially since Kaby Lake is largely a minor upgrade. Today, Walmart has a great deal on a 3.50GHz quad-core Skylake processor, as long as you can make it to the store. 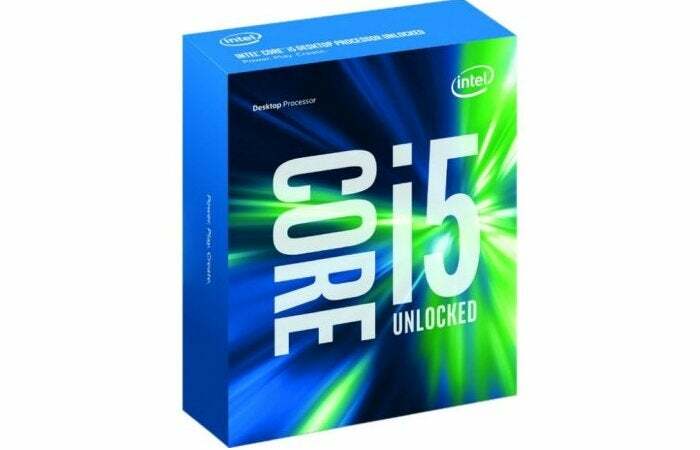 You can get an Intel Core i5-6600K for $170.43 at Walmart if you buy it online and select in-store pick-up. If you go with the shipping option, it sells for the regular price of $232. Our Skylake review focuses on the 6700K, but overall, we liked Intel's sixth-generation processors when they first came out and found them to be a great improvement over pre-Haswell (fourth-gen) CPUs. Similarly, Kaby Lake is good improvement over Haswell, but not a great improvement over Skylake. Bottom line: cheap Skylake is an excellent choice even with Kaby Lake out there in the wilderness. As an overclockable part, the 6600K is the top of the Core i5 Skylake parts. For home users, that means it should be pretty respectable at whatever you’re going to throw at it, including gaming. However, since it's an i5 part, it lacks hyperthreading, so you may see slightly less performance in open-world games than you would with an i7 processor. With Prime Day right around the corner, perhaps there’ll be some better deals on processors next week, but I wouldn’t necessarily count on it. This is a good price, and as long as you can go pick it up. there’s little reason to wait.